Another brief post because I am very very busy this week. I’m having 17 for first seder, and for the second seder I am cooking (with a lot of helpers) for 142 (yes, you heard that right) for my synagogue. 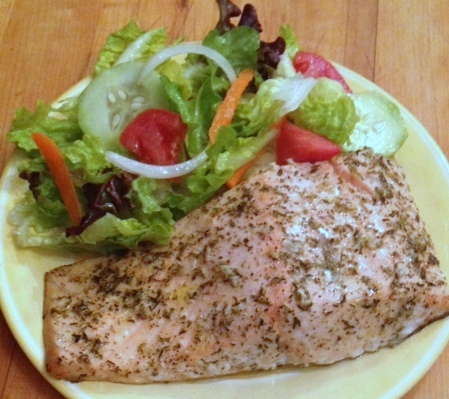 Since the second seder is on Shabbat (Saturday night ) and you can’t turn the oven on until after sunset; we are serving a cold meal and this salmon is the main entree. Not only is it delicious cold, but it’s just as good served hot. It also makes a nice change from gefilte fish as an appetizer. Have a wonderful holiday this weekend – be it Easter or Passover. Dijon mustard is very hard to find on Passover. Feel free to just omit it – you will still have an incredibly tasty dish. This makes enough marinade for about 1 pound of salmon. 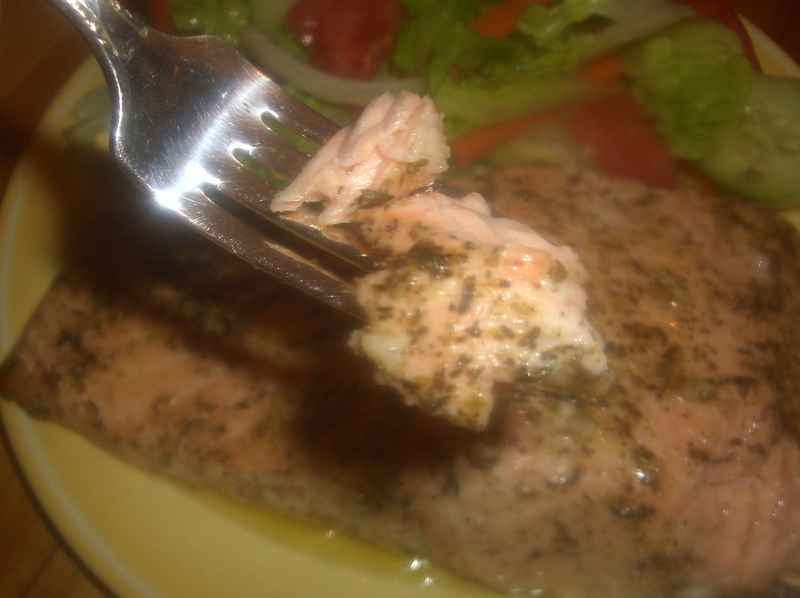 The recipes doubles easily for a larger piece of fish. 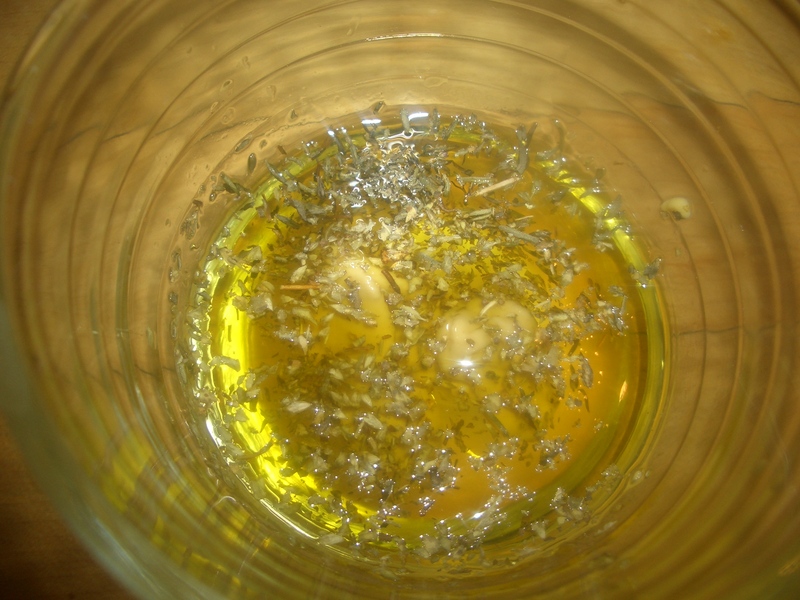 In a small bowl, stir together the olive oil, lemon juice, mustard, garlic, oregano, and thyme. 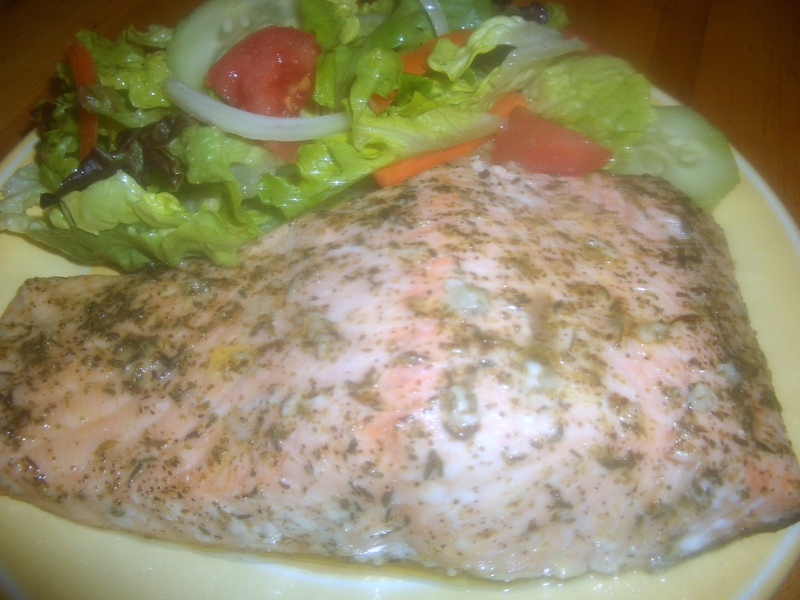 Season the salmon with salt and pepper if desired. 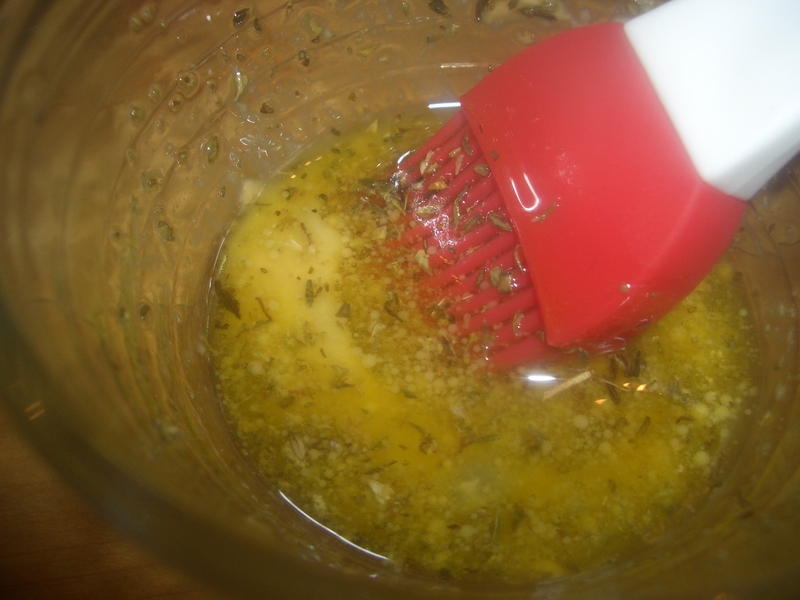 Brush with the herb mixture; let stand 15 minutes. Bake 20 minutes or until desired doneness, brushing with any remaining marinade after 10 minutes. 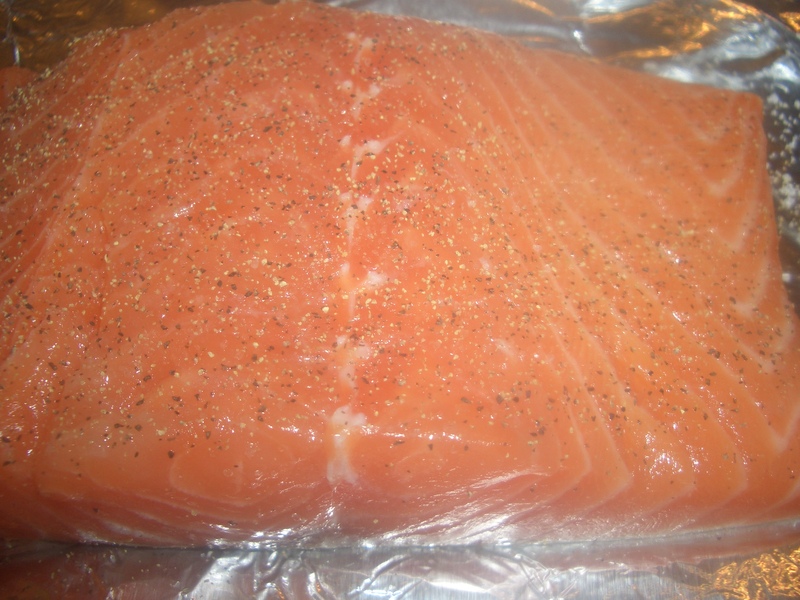 How is the texture of the salmon baked at 300F like? I read somewhere that it doesn’t look cooked when it is when baked at 300. 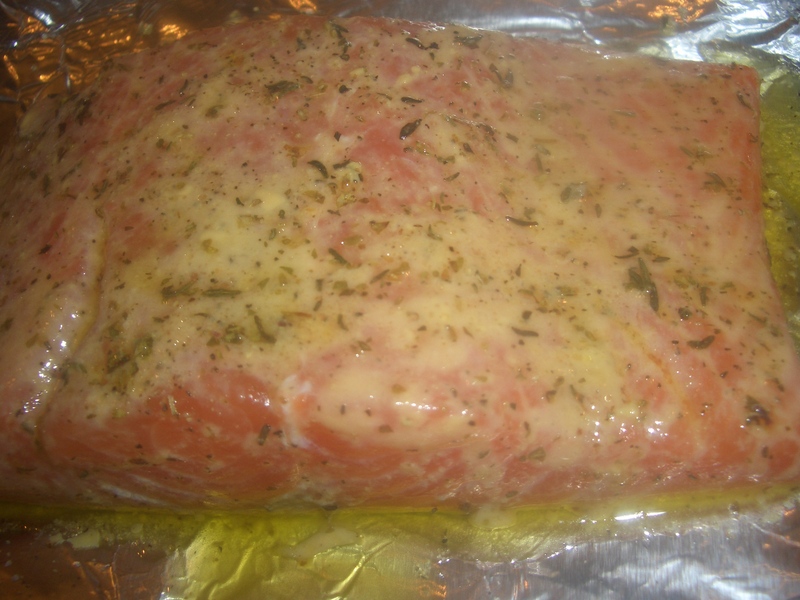 I have always baked salmon at 400 or more so I am really curious. wouldn’t Gluten Free Dijon Mustard count as okay for Passover? Also, when you mention the herbs, do you mean dried herbs? what do you do if you have fresh herbs.